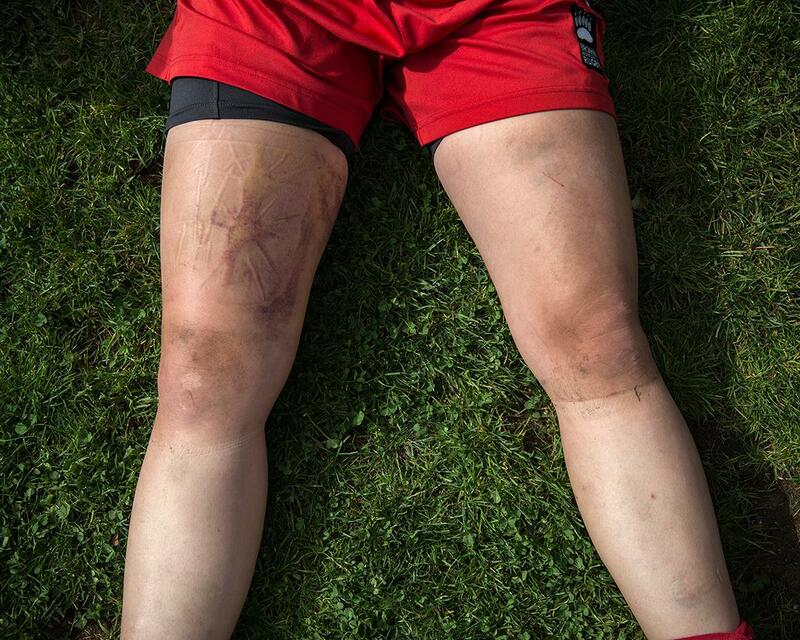 Alejandra Carles-Tolra: The Bears is a look inside Brown University's women's rugby team (PHOTOS). 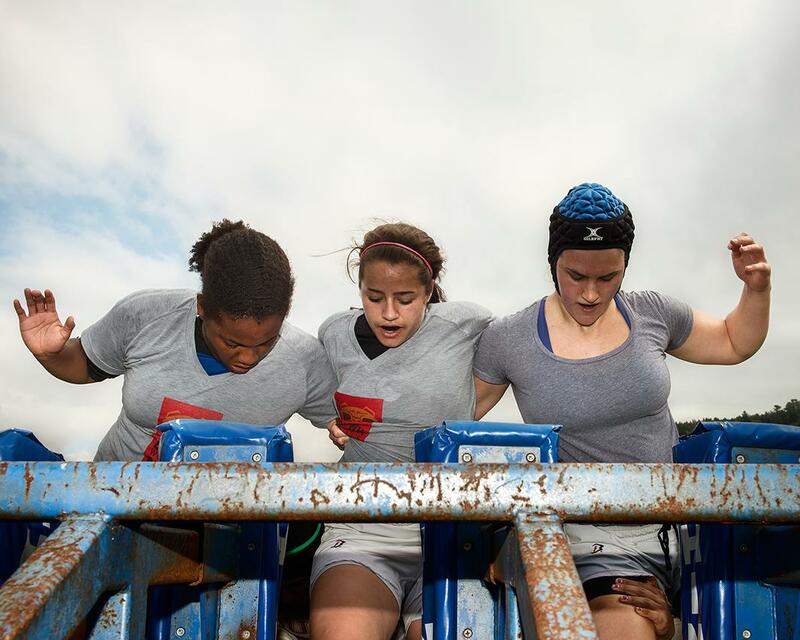 Brown University’s Women’s Rugby Football Club was founded in 1977, eventually becoming a varsity sport in 2013. 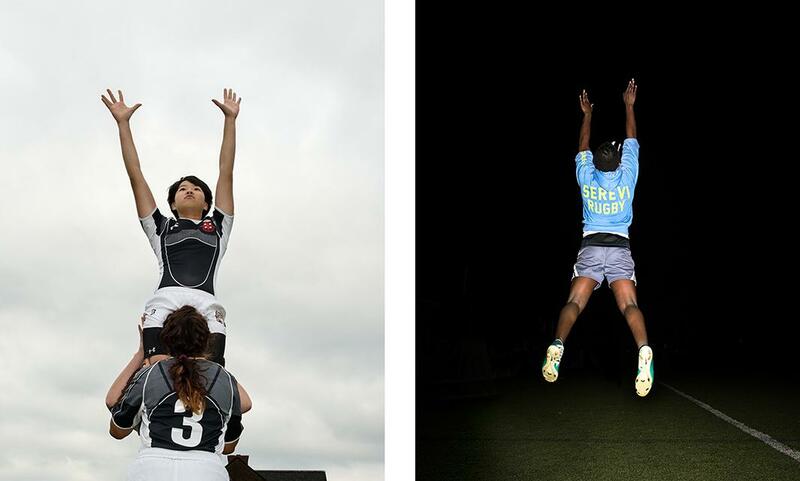 The active roster of roughly 30 players, many of whom had never previously played rugby, are part of a tight-knit group of student athletes. Spanish photographer Alejandra Carles-Tolra discovered the Bears while looking to cover a community of women participating in a traditionally male-dominated environment. She was also interested in concentrating on the dynamic of the individual within the collective university setting. Her previous series, “Fall In,” dealt with a group of students enrolled in ROTC and how the military environment influenced their individuality. Once she decided to focus on the Bears, Carles-Tolra began to tag along to their practices. 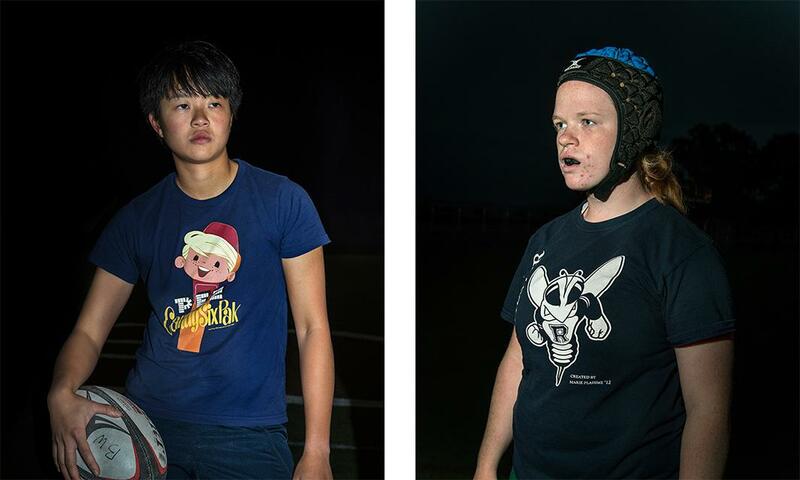 Among the many challenges she faced was the fact that she knew very little about rugby, the players had little time to hang out before or after practice because of academic demands, and, most importantly, how to break into the tight-knit group. Left: Reaching Up. Right: Suspended. Left: Girl In Between #2. Right: Girl In Between #1. Another challenge Carles-Tolra faced was lighting. Because the practices were in the evenings, the light was often fading or quite dark during the time she was able to shoot. 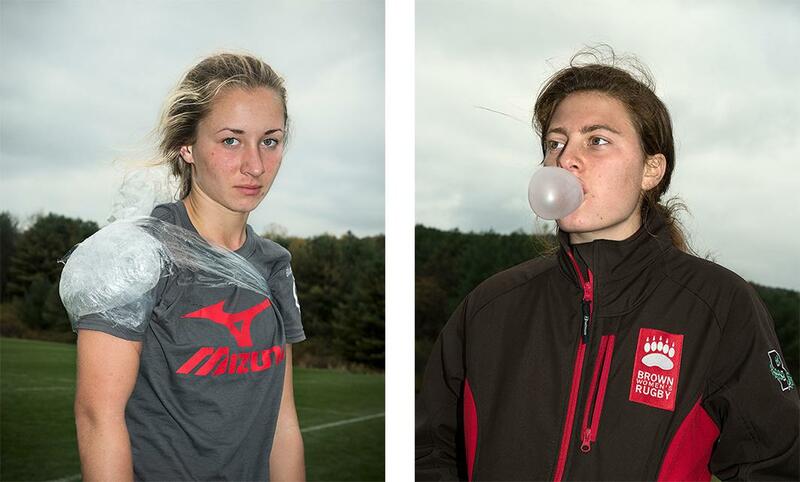 Work from Carles-Tolra’s series “Fall In” are included in the group “Gun Show” part of the Flash Forward Festival in Boston, on view through May 4. Left: Bruises, Legs, and Sweat 14. Right: Bruises, Legs, and Sweat 24. Left: Bruises, Legs, and Sweat 34. Right: Bruises, Legs and, Sweat 44.